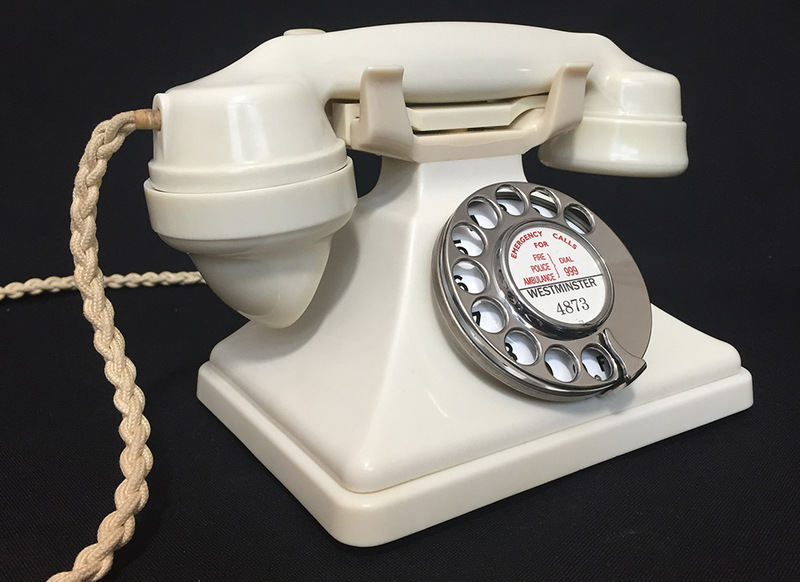 This telephone was in great condition when found. I have replaced the cradle with another from the same period and material. 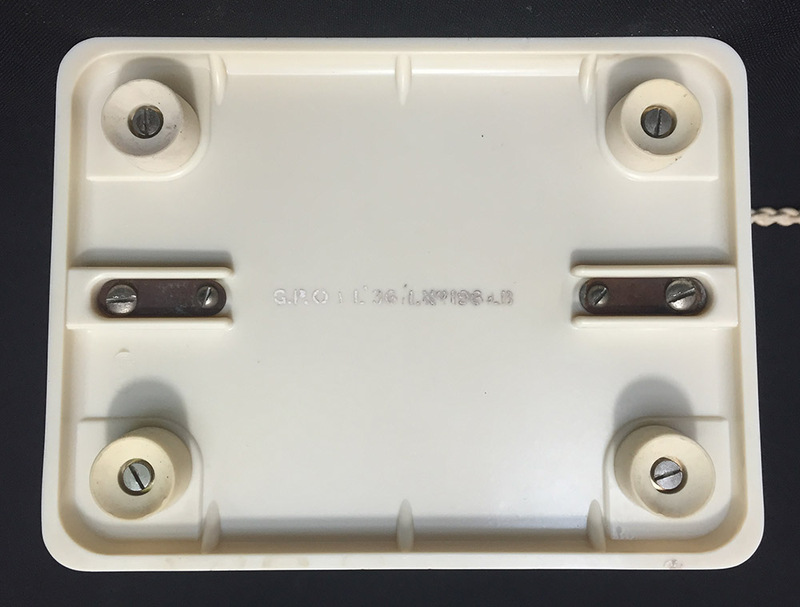 The internals were upgraded when in service to the better 232 specification which means it will work to a very high standard. 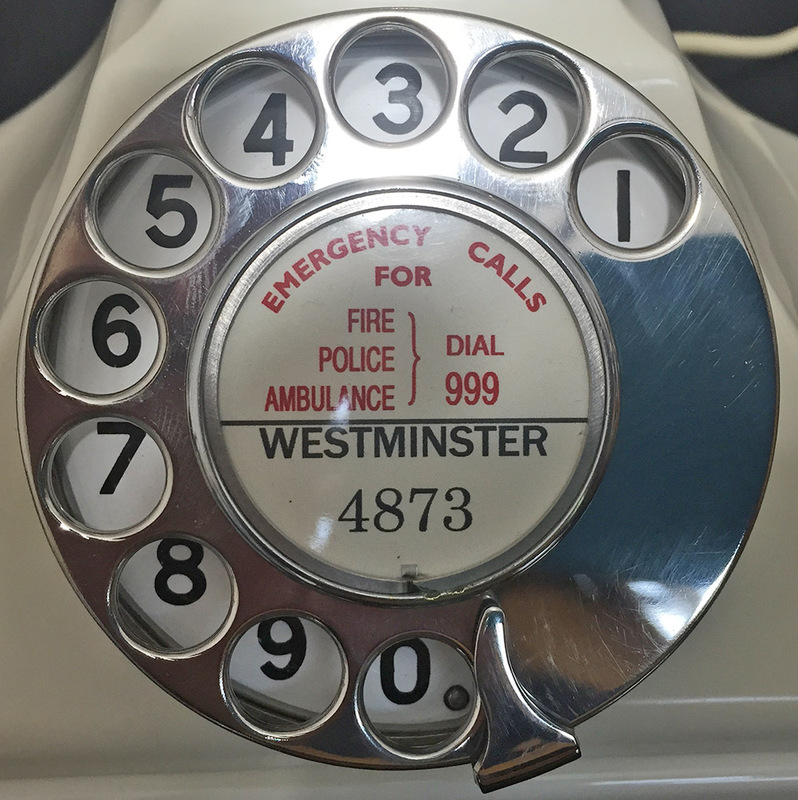 It has been fitted with a GPO No12 enamel faced figure dial. I have upgraded receiver and fitted an electronic microphone. It also have a new GPO specification set of feet as the originals had turned to dust. 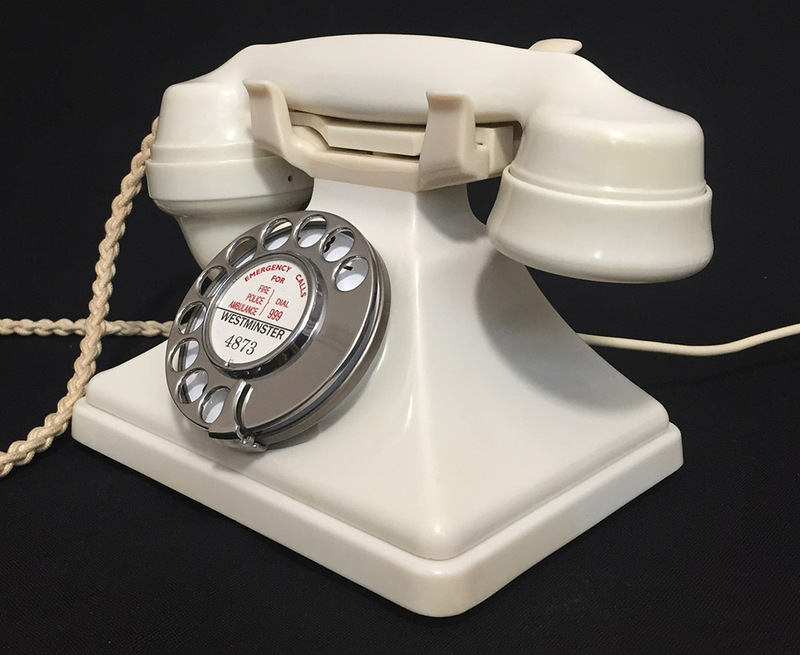 These early Bakelite type material telephones are very hard to find in this condition. 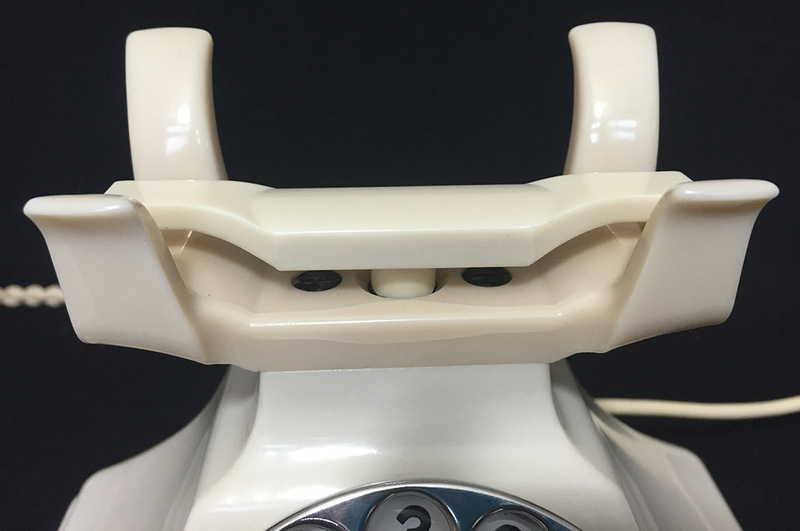 This material is brittle and over the years with expansion and contraction of the metal parts in the handset cause cracks. This one has very minor imperfections. 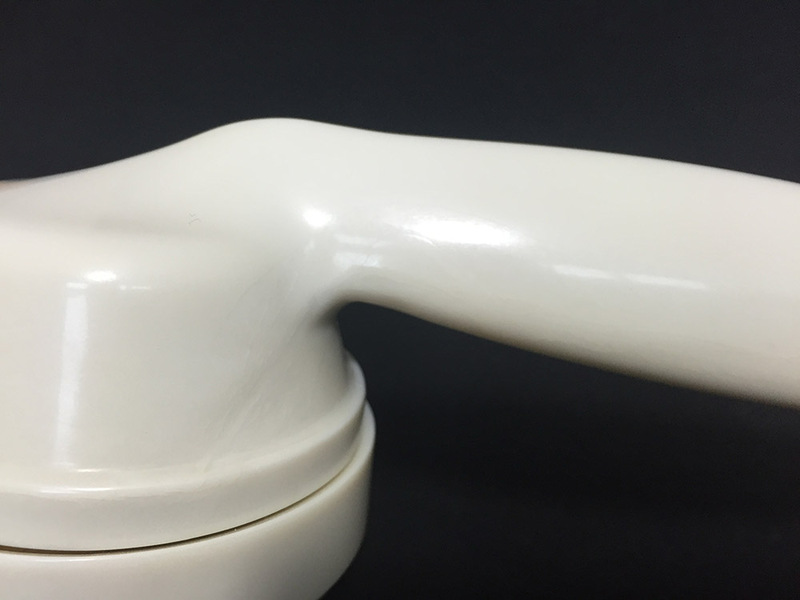 I have photographed the handset at the mouthpiece side to show a crack and the hand grip to show some very minor cracking. 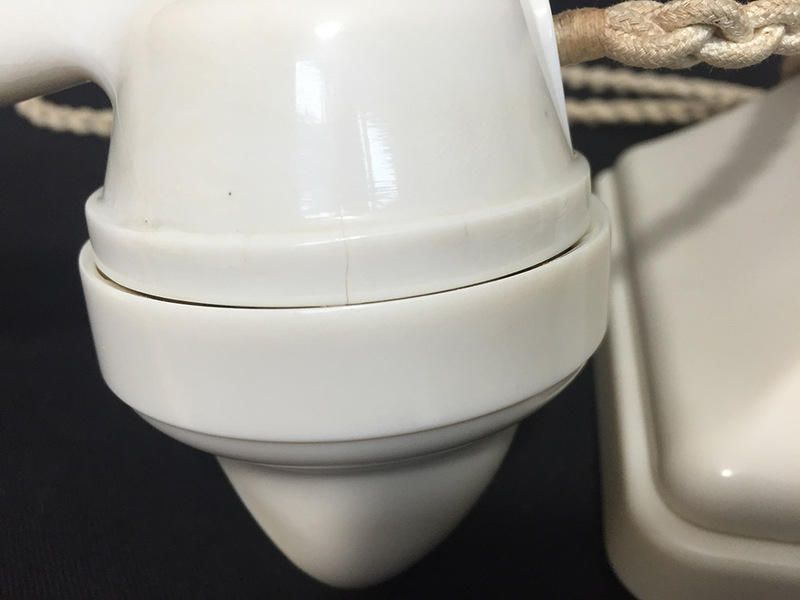 The cradle is a slightly darker shade and also has some stress cracking but otherwise undamaged. 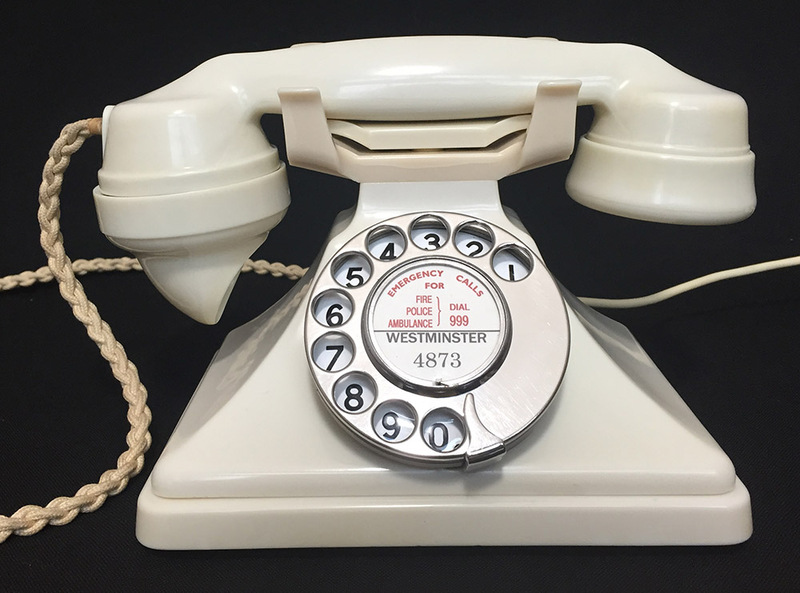 Because these telephones are so prone to damage very few have survived and so unless you are a collector you won't realise how good this telephone is. It has no staining and no chips etc. 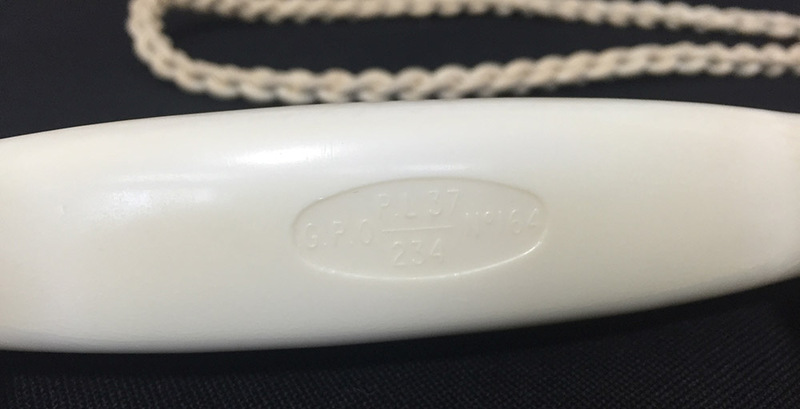 The cord is a near perfect original Braided handset cord which like the telephone very rarely survive in this condition. This telephone retains its original lead weight with wiring diagram pasted on it. I cannot fit an internal bell as one just won't fit. I would suggest buying a 64D or if you just want the proper ring sound a BT50E. Contact me for some advice if unsure. This is a collectors piece but is fully working and could be used as your main phone if you are reasonably careful. With all the information I have added you may think this is not a good telephone but I must assure you it is one of the best you will find. I can make a dial label with your information at no extra charge.